Looking for a hotel in the heart of Paris? The city of Paris has the shape of a snail shell, the 20 districts (parishes) are in a clockwise rotating spiral outward from the Louvre. Postcode Paris as a whole is 75 000, which then the number of the district is added. For example. The Eiffel Tower is located in the 7th arrondissement, or 75007. Take a hotel with 75 001 to zip code of 75009. The other districts are often too far from the centre and are more residential. The exception is where 18th district Montmartre is. The most famous sights of Paris are: Notre Dame, Musée du Louvre, Musee d’Orsay, Eiffel Tower, Champs Elysees, Montmartre, Latin Quarter and St-Germain-des-Prés. Good chance that you want to visit one or more of these places. All these monuments are close to the river Seine (except Montmartre). The closer the hotel is located near the Seine, the more central and easier you can go anywhere without losing much time. In addition, the lights along the Seine evening is breathtaking. It would be a shame to miss these atmospheres. Restaurants are more than enough for all tastes and budgets. Neighbourhoods where the evening is lively include: Quartier Latin 75 005 (all cuisines, all prices, tourism, child friendly), Champs-Elysées in 75 008 (upmarket, French cuisine, tourism), le Marais in 75 004 (small bistros, sociable, artistic, romantic), St-Germain-des-Prés in 75 006 (lively, intellectual, antique dealers and gallery owners, slightly more expensive), Eiffel Tower in 75 007 (classic, expensive French cuisine), Montmartre in 75 018 (bohemian atmosphere, touristic, French cuisine and reasonably priced) and Place Pigalle in 75 009 (busy nightlife district with Moulin Rouge and bars). Preferably choose a hotel in a neighbourhood where the mood suits you. You avoid in this way that you evening with the metro must drive around or take a taxi. Montmartre is very nice (very tourist-like), but you must realize that if you do take a hotel, you get a piece of the centre is. Montmartre is a big hill and you have to go down-town or the entire hill walk down (and climb if you come back) or take an elevator that connects the upper town with the lower town. This lift is very regular and costs the same as a ride on the subway. But psychologically, this is an obstacle, so you may feel a little trapped or cut off from the world. Difficulty walking here is an advantage. Previously recommended for nostalgic couples. 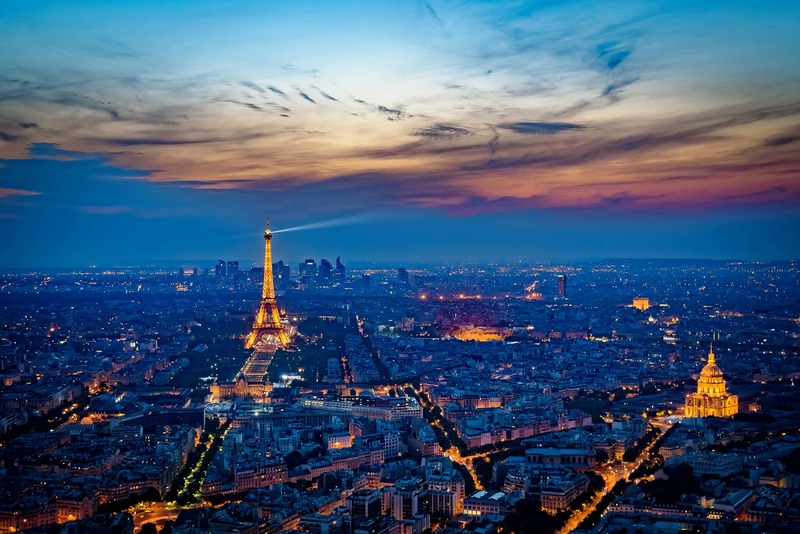 So let Paris enchant you and enjoy your stay there! ‹ Time for Some Milan!